The 200 kS/s and 1 MS/s bridge amplifier versions comprise everything that you would expect from LDS Nicolet. 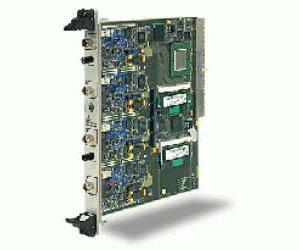 They offer isolated and differential inputs, high gain, and extremely good SNR even at the maximum 400 kHz bandwidth. Both versions come with on-board, software selectable shunt calibration and bridge completion resistors, a bridge wizard for error-free setup and fast auto balance.